Work Orders Unlimited helps the 6th largest fire department in the U.S. streamline their facilities department and help rebuild trust. San Jose is the 10th largest city in the US and the 3rd largest in California. The San Jose Fire Department serves the city-proper and other Santa Clara County areas with a total population that exceeds one million. They respond to approximately 74,000 calls for service each year. They also are the emergency service provider for a number of high-hazard occupancies, including an International Airport; a municipal airport; seven major hospitals, including three trauma centers, and seven emergency departments; the SAP Center, home of the NHL San Jose Sharks; San Jose State University; three super regional malls; and 516 high-rise structures. There is a small staff responsible for managing the 33 fire stations within the department. Each station calls in work requests 24 hours a day and the facilities staff is responsible for dispatching those requests to the city’s Central Services Department. Without a formal system to track what was reported, and with no way of insuring when work was scheduled or completed, the facilities captain lost insight into the department’s work load, resulting in lost work orders, poor communication with the stations and intense resentment towards central services. Work Orders Unlimited implemented login portals for all 33 stations and a centralized desktop for the facilities staff, listing all of the stations’ requests. When requests came in from the stations, they were all logged. The department utilized Work Orders Unlimited’s eWork Request feature to dispatched work to Central Services, who in turn used the reply function to update the department with schedules. The captain in charge also used the various Work Orders Unlimited reports to gain better insight into the depth and breadth of problems amongst the stations. Within three months, the facilities captain regained control over the departments’ work load. The fire fighters at the stations all embraced the login portal. That they could each track the progress of each request they submitted and see the running chronology of activity helped improve communication between them and the facilities department. Trust was restored and resentment was abated. 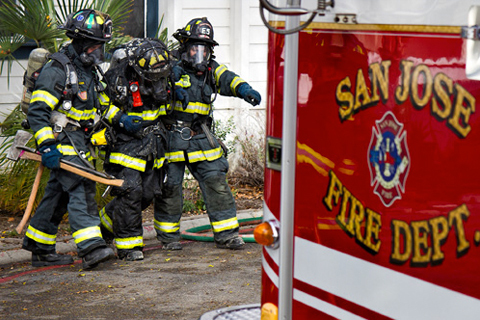 A decade later, the San Jose Fire Department continues to use and benefit from Work Orders Unlimited and is now utilizing its mobile capabilities with very good success. Learn more about The San Jose Fire Department by visiting their website. Schedule a live demo and a representative can guide you through the areas of the application that interest you most. Sixth largest fire department in the U.S.
Overland, Pacific & Cutler (OPC) was established in 1980 to provide professional services for public agencies and the private sector. Their nine offices offer right of way and real estate services for over 600 properties included in the transportation, housing and development, energy and utilities, and public sector industries, throughout California, Arizona and Texas. 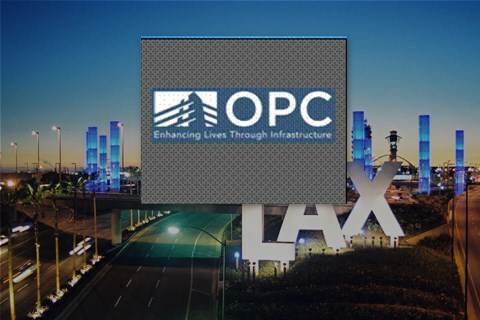 With over 600 properties to manage for various cities throughout Southern California, the work load for OPC was becoming very difficult to keep up with and their growth was slowing down. When they contacted Work Orders Unlimited their primary requirements were: cloud based, easy to use, mobile, the ability to attach pictures to work orders from cell phones, the ability to update work onsite, upon completion and customized reporting. OPC worked with Work Orders Unlimited’s support staff and implemented the system to all 600 properties over the course of one month, including staff training. In addition, OPC worked with Work Orders Unlimited’s Solution Center to create a series of custom reports that provided client compliance. Within two months of using Work Orders Unlimited OPC gained control of the backlog of work. The custom reports satisfied the clients immediately and saved OPC staff over a week per month generating reports. Work Orders Unlimited was successfully being used to capture before and after pictures to all work orders from field staff cell phones. OPC’s growth also began to pick up as they added new projects in Arizona and Texas as a result of the time savings they received from Work Orders Unlimited. Learn more about OPC by visiting their website. Bayside Realty Partners provides a wide variety of focused and high value-added services to owners and users of commercial real estate, including: property management, renewal and new leasing, property and partnership reporting, construction management, acquisition and due diligence coordination, development, dispositions and tenant representation. Having completed transactions totaling over $500 million in acquisitions, leases, financings and dispositions, and with just over one million square feet of commercial property under management, in the California cities of Mountain View, Burlingame, Fremont, San Leandro, San Rafael and Sacramento, they needed a work flow management solution that would give them a clear, competitive advantage, while providing them with tools to ease their daily property management operations. Key to them was efficiency, organization, record keeping and ease of use. While they have a corporate network in place that provides remote access to their employees, they felt that the cost/benefits of a client server based solution would not provide enough long-term value compared to the on-going expenses of owning such a solution. Enter Work Orders Unlimited. Project director, Suzanne Mathieu, with nearly 20 years of commercial property management experience introduced Work Orders Unlimited to her boss. From the start, it was clear that Work Orders Unlimited, as a web-based, on-demand solution was going to satisfy all of Bayside’s key requirements. With the help of Work Orders Unlimited’s support staff, they implemented the application in a phased approach, bringing one building on board per week. Work Orders Unlimited support staff assisted with the Bayside staff training and tenant training and continued to provide on-going technical support. Bayside took full advantage of Work Orders Unlimited’s work order manangement module, tenant interface and vendor management module, with their powerful e-features. In conjuction with the work order manangement module and the tenant interface, tenants have the ability to report any building or suite related problems through their own desktop. The tenant notification and tenant follow-up features allow for full 360 degree collaboration between the Bayside property management staff and their tenants. Work Orders Unlimited is completely entrenched into Bayside’s corporate culture. The web-based, on-demand e-features of Work Orders Unlimited’s vendor management saves Bayside’s staff over 60 minute per work order. Now, when work needs to be dispatched to vendors, e-work requests go out to preferred vendors and the e-vendor reply closes the loop on property manager and vendor collaboration. Phone tag has all but been eliminated. All activity is logged in work orders and there is never any confusion about what has been requested and what has been done. 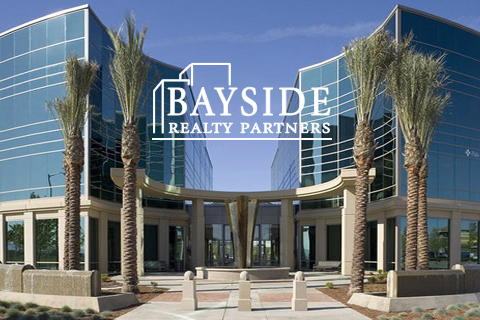 Learn more about Bayside Realty Partners by visiting their website. Work Orders Unlimited helps the the world’s largest commercial real estate services and investment firm manage 5,000,000 square feet of commercial real estate in San Francisco. 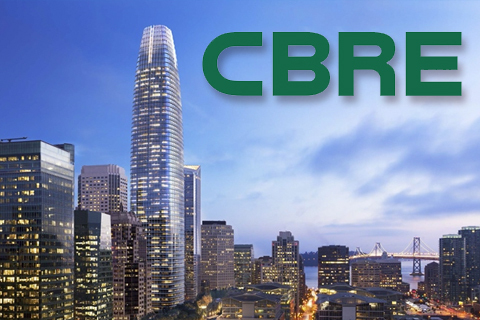 CBRE Group, Inc. is the world’s largest commercial real estate services and investment firm, with 2014 revenues of $9.0 billion and approximately 70,000 employees (excluding affiliate offices). CBRE has been included in the Fortune 500 since 2008, ranking #321 in 2015. It also has been voted the industry’s top brand by the Lipsey Company for 14 consecutive years, and has been named one of Fortune’s “Most Admired Companies” in the real estate sector for three years in a row. For the managers of nearly 5 million square feet of commercial real estate in San Francisco finding a work order management solution that was robust, easy to use, and cost effective was quite a challenge. Key requirements were: a Certificate of Insurance module, a Conference Room Scheduler, the ability to dispatch work requests to outside vendors and provide the vendors the ability to update work orders with their replies. An additional requirement was the ability to add customized functionality when needed. To satisfied their requirements, CBRE narrowed their search down to five finalist, of which, Work Orders Unlimited was one. In 2006, Work Orders Unlimited beat out the five competitors to be selected the solution of choice for the 5 million square foot portfolio. CBRE implemented tenant portals for all of the buildings in their 5 million square foot portfolio, and a centralized desktop for the property management staff and engineers. Property managers utilized Work Orders Unlimited’s eWork Request feature to dispatched work to outside vendors, who in turn used the reply function to update their requests with schedules and other pertinent updates. They also engaged Work Orders Unlimited’s Solution Center to create a set of customized reports that they standardized throughout their portfolio. Work Orders Unlimited was seamlessly implemented and utilized. Its easy of use and intuitiveness made it ease to role out to tenants, requiring no more than five minutes per tenant to train. Tenants at the various properties all embraced the login portal. That they could each track the progress of each request they submitted and see the running chronology of activity helped improve communication between them and the and property management staff. CBRE processed at least 200 work orders per month and saved at least 60 minutes per work order. Their ROI averages out to 200%. Learn more about CB Richard Ellis by visiting their website. Work Orders Unlimited helps one of the largest media companies manage their commercial real estate assets. Hearst is one of the nation’s largest diversified media, information and services companies with more than 360 businesses. Its major interests include ownership in cable television networks such as A&E, HISTORY, Lifetime and ESPN; majority ownership of global ratings agency Fitch Group; Hearst Health, a group of medical information and services businesses; 30 television stations such as WCVB-TV in Boston and KCRA-TV in Sacramento, Calif., which reach a combined 18 percent of U.S. viewers; newspapers such as the Houston Chronicle, San Francisco Chronicle and Albany Times Union, more than 300 magazines around the world including Cosmopolitan, ELLE,Harper’s BAZAAR and Car & Driver; digital services businesses such as iCrossing and KUBRA; and investments in emerging digital and video companies such as United Artists Media Group, BuzzFeed, VICE and AwesomenessTV. 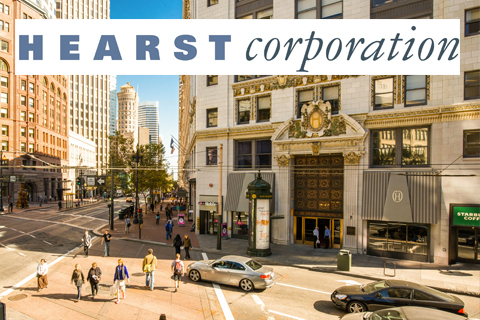 Hearst’s San Francisco real estate was previously managed by a third part property management company. In 2013, Hearst took their property management in-house. Through their previous property manager they had experience with Work Orders Unlimited. During their time with the third party management company, Work Orders Unlimited served them exceedingly well, saving them over an hour per work order. When they went in-house with their management they called on Work Orders Unlimited to complement their entire San Francisco portfolio. They have a small staff responsible for managing their SF real estate and they wanted to continue their high level of tenant service. Key amongst their requirements was mobile access. Their building engineers needed to be able to respond to tenant requests without having to return to their office and a specific computer desktop. Additionally, they wanted the ability to invoice tenants for all billable service requests and they wanted to easily manage the preventive maintenance of their building’s equipment. Work Orders Unlimited implemented login portals for all their San Francisco properties and a centralized desktop for the property management staff. Work Orders Unlimited’s built-in mobility was utilized by all building engineers to update and complete requests in the field. The property management department utilized Work Orders Unlimited’s eWork Request feature to dispatched work to their outside vendors, who in turn used the reply function to update the department with schedules. They also utilized Work Orders Unlimited’s Automated Invoicing feature to bill tenants for their billable work. The roll out to the balance of Hearst’s San Francisco was simple and seamless, given that one of their properties was already utilizing Work Orders Unlimited. Work Orders Unlimited worked with Hearst’s management staff to formulate a roll-out plan that included staff and tenant training. In less than one month all of their properties were up and running on Work Orders Unlimited. Tenants utilized the mobile feature with great creativity, taking pictures of their employees and attaching them to their requests for building access cards. Mobility for field engineers was also a big success. Management staff hit on all of their requirements and continue to save over an hour per work order and provide the high-touch service to their tenants that they planned. Learn more about Hearst by visiting their website. Ease of use and intuitiveness wins out. Work Orders Unlimited succeeds where Corrigo falls short. 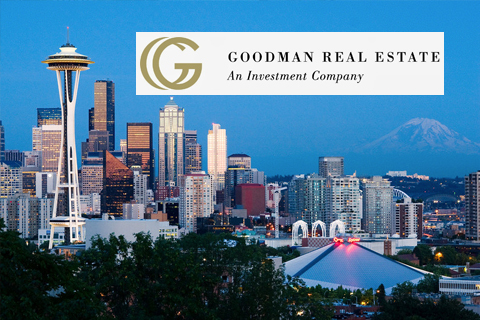 Founded in 1980 by John Goodman, Goodman Real Estate, Inc. (GRE) is a leading privately held real estate investment company specializing in multifamily and commercial real estate. Headquartered in Seattle, Washington, they maintain a diversified portfolio of quality commercial property investments across the United States and Canada. Their managed assets are valued at more than $2.5 billion and their portfolio spans the spectrum of risk-adjusted investments: multi-family construction; hotels and resorts; office and retail buildings; land development; and structured investments. For a a couple of years Goodman and staff used Corrigo as their work order management solution and found it exceptionally difficult to use: complicated, hard to use, difficult to figure out. To begin managing their growing list of service requests, Goodman desperately needed a solution; however, this time they decided to find one that was easy to use, intuitive and could be rolled out quickly to staff and tenants. In 2012, Work Orders Unlimited implemented its solution to all 2+ million square feet and provided training to all staff within two weeks. The fact that Work Orders Unlimited is so easy to use and intuitive made it seamless for Goodman’s tenants to get on board, with training per tenant taking less than five minutes each. Within two months, Goodman staff had gained control over their growing work load. The tenants all embraced the login portal. That they could track the progress of each request they submitted and see the running chronology of activity helped improve communication between them and Goodman’s management staff. Goodman also found the Certificate of Insurance module an essential feature- something that was missing from Corrigo. Three years later, Goodman Real Estate continues to use and benefit from Work Orders Unlimited and is now utilizing its mobile capabilities with very good success. Learn more about Goodman Real Estate by visiting their website. Committed to serving the community by protecting life, property, and the environment through prevention and response.